Families or small groups that prefer to stay together but appreciate extra privacy and space can choose our delightful Family Cottage. 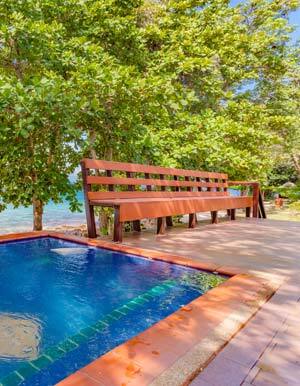 Taking a prime beachfront position, the Family Cottage overlooks the soft white sand of our hidden private beach. This amazing view can be enjoyed from the spacious balcony that features a refreshing dip pool and loungers. The master bedroom offering beautiful sea views is situated on the upper floor, while a twin bedroom is on the lower floor, both include a television. 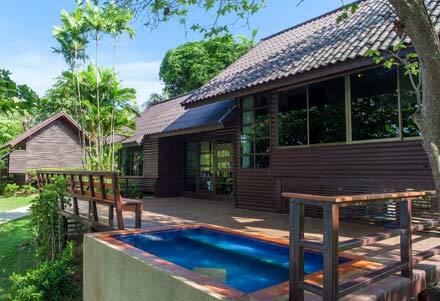 The cottage at our Laemthong Beach family hotel also features a living area and large bathroom with shower.